It’s the time of the year again for the massive influx of cut flowers from Africa and South America to meet the demand for yesterday’s Valentine’s Day. Lufthansa Cargo is one of the main carriers involved in this transport. Lufthansa as well as other freighter operators flying to Africa and South America transport cut flowers and perishables on a regular basis all over the world. 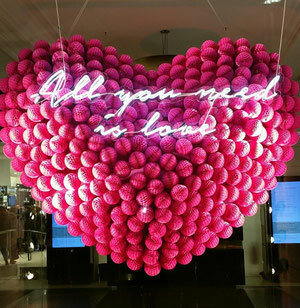 However, the Valentine’s Day operation can be in some ways compared to the Beaujolais wine flights, which take place in November of each year. There’s a large cool chain logistics service involved with the transport of cut flowers. They are harvested several times a day at the flower farms, then immersed in water to keep them cool, sorted and packaged followed by fast transports to the airport for loading in specially cooled aircraft compartments. The same process more or less applies the other way around at their destination in order that this sweet smelling product goes over the shop counters within a few hours of arrival. The Russian male population has always taken Valentine’s Day very seriously. Maybe the guys there are somewhat more romantic than their western European or American cousins. 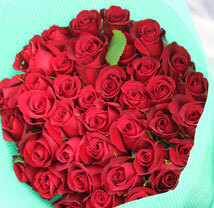 The demand for cut flowers to Russia, not only on Valentine’s Day, has previously been enormous. Whether due to the present economic turndown and sanctions, this has dropped is not clear. We can assume however that the Russian male wants to continue wooing his sweetheart on Valentine’s Day. Other markets have become stronger for this commodity, especially in North America. IAG Cargo, which is also very much into the transport of flowers and plants has indicated that their transport of flowers to the USA has increased by more than 50 percent compared to the previous year. LAN Cargo flew more than 9,000 tonnes of flowers to the U.S. (80%) and Europe (20%) which accounts for 26 percent of South America’s total flower market, the airline says. An interesting source of revenue for all carriers operating into the flower growing area. Lufthansa Cargo’s 1,500 tonnes is equivalent to 40 million roses. There must have been a lot of happy ladies out there yesterday and the LH Cargo freighter fleet will probably be smelling of roses for a few days to come !